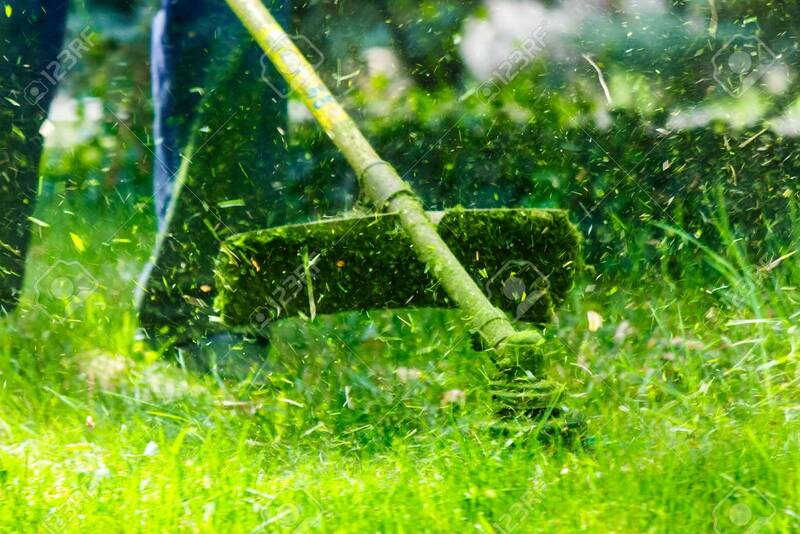 Grass Cutting In The Garden With Trimmer. Lovely Nature Background Stock Photo, Picture And Royalty Free Image. Image 99578653.